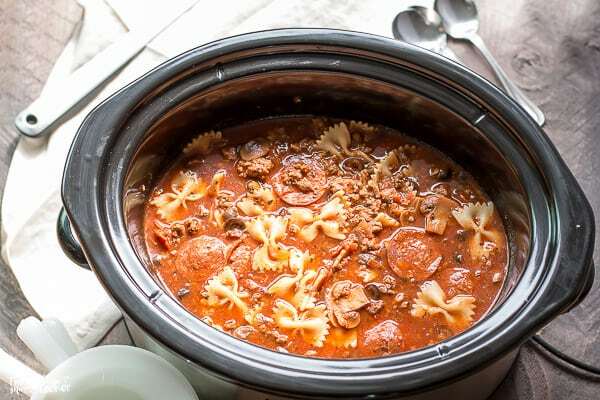 Slow Cooker Pizza and Pasta Soup is a meal your whole family will love! 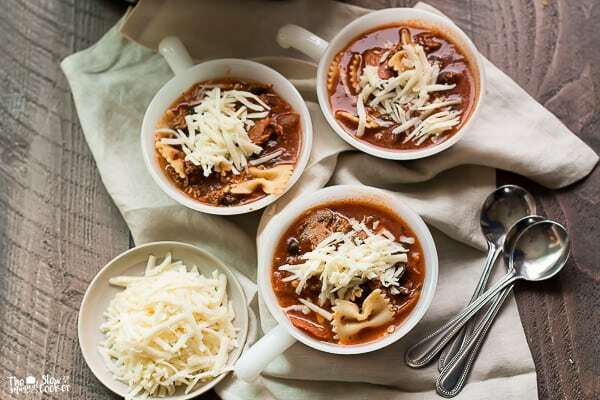 This Hearty Soup has pizza supreme flavors with bow-tie pasta and even better that this meal is a freezer meal friendly! Hi all! 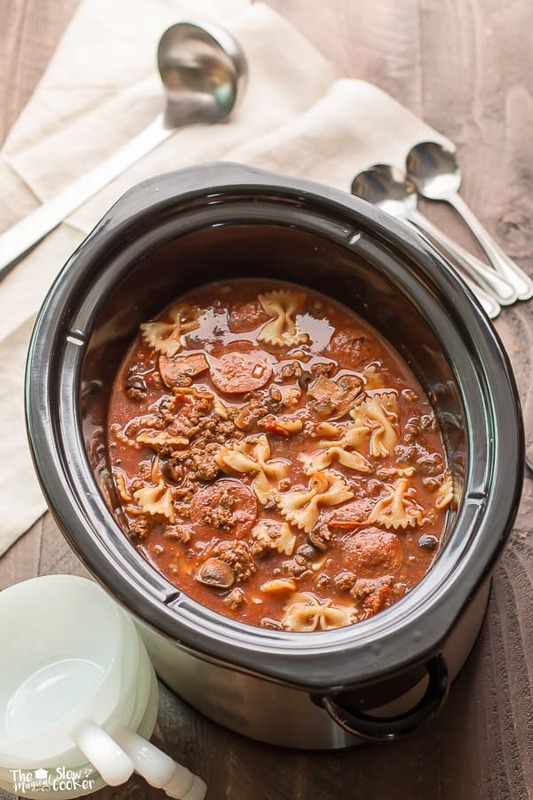 Freezer Slow Cooker Meal of the Month here! 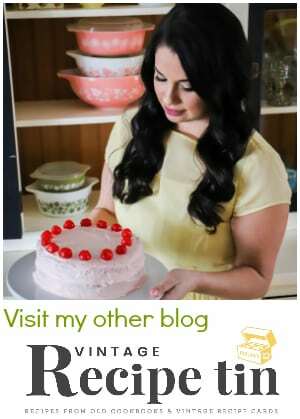 I am loving this theme on the blog. 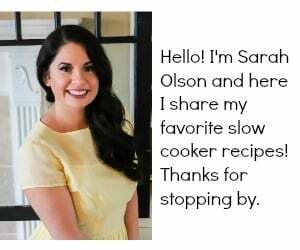 These slow cooker freezer meals are keeping my freezer stocked for days I don’t have time to cook. This month we have swim lesson twice a week and girl scouts. My daughter and I have to eat dinner in a hurry before these things and my poor husband doesn’t get to eat until 7pm. 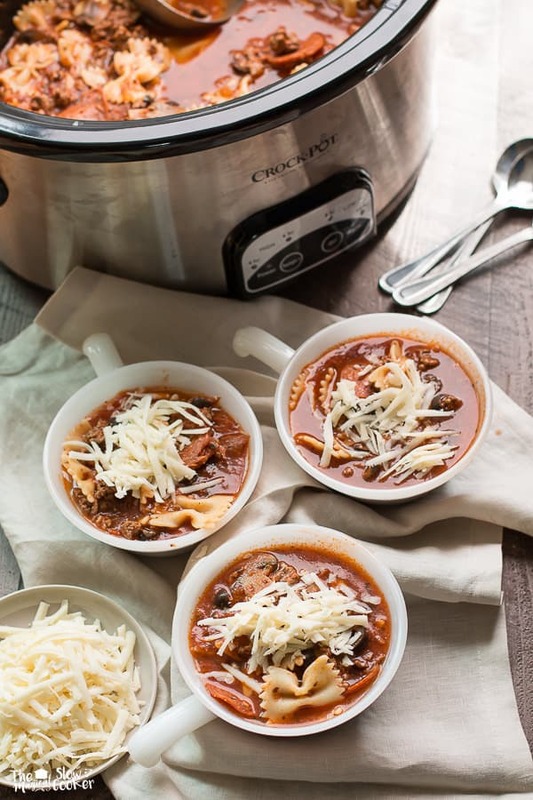 This Slow Cooker Pizza and Pasta Soup recipe was originally going to be lasagna soup, then I had a wild idea to add pepperoni then the entire recipe changed. Supreme pizza flavors are in this soup: beef, pepperoni, mushrooms, onions and olives. This meal could be made the morning of or could be made into a freezer meal. I made 2 of these meals at once, one for a busy Monday dinner and the other I tucked away in the freezer for later in the month. I topped this soup with mozzarella cheese. I wish I had bought French bread to go with this, that would have been so good dipped into the soup. Have a great weekend! I hope you are enjoying these freezer meals of the month. I have a great recipe planned for Monday! Stay tuned. 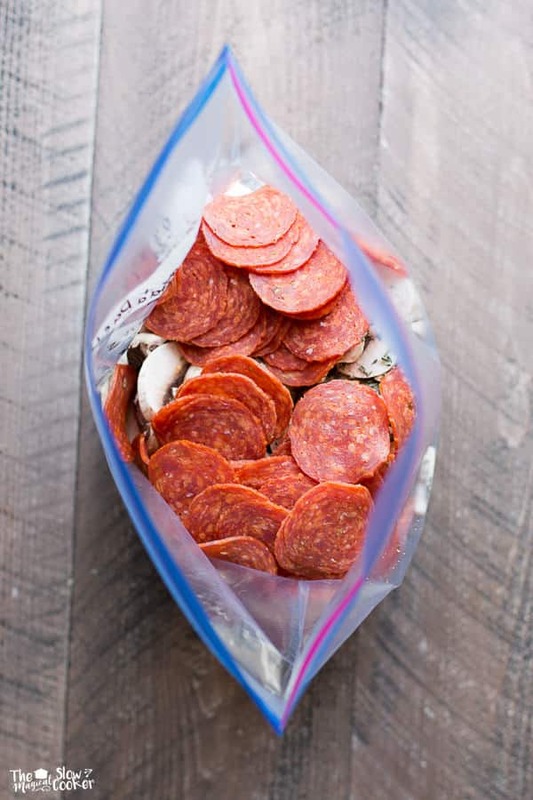 Place everything but the noodles into a gallon-sized ziplock bag. Squeeze out the excess air. Freeze for up to a month. 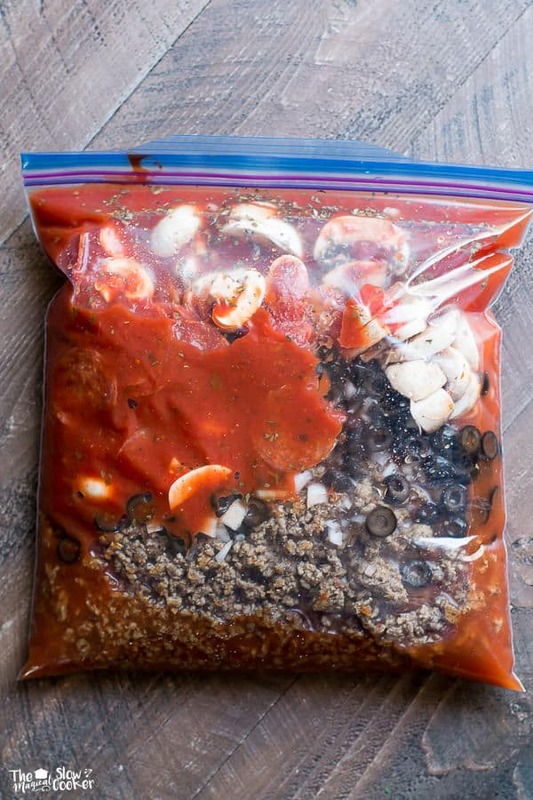 Thaw the freezer meal in the fridge for 36 hours. 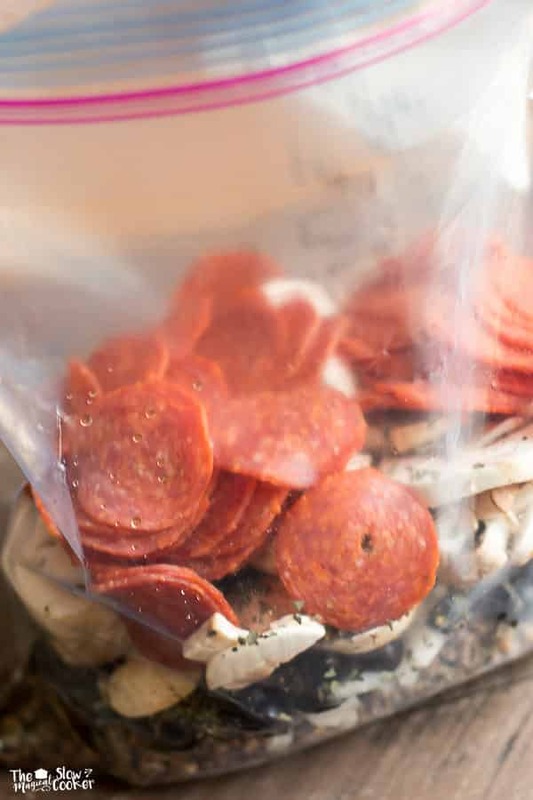 Place the contents of the bag into a 6-quart or larger slow cooker. Add the cooked noodles into the soup and stir. Top the soup with mozzarella cheese and serve with French bread. 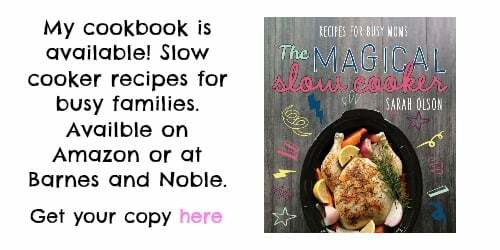 I used my 6-quart oval slow cooker recipe for this recipe. 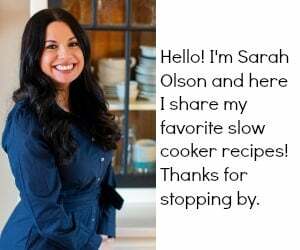 I LOVE all of your recipes; however, any chance of adding a photo to the recipe when we print it out? That would be SO helpful! THANK YOU! Hi Pamela! I will look into adding that, thanks for your suggestion! This doesn’t need to be froze unless you are meal planning. I made it once without freezing and once with freezing . Tasted the same both ways. Love this idea for a soup! I mean, how can you go wrong with pizza flavors? 😉 And so smart to make a double batch so you can freeze half for later. 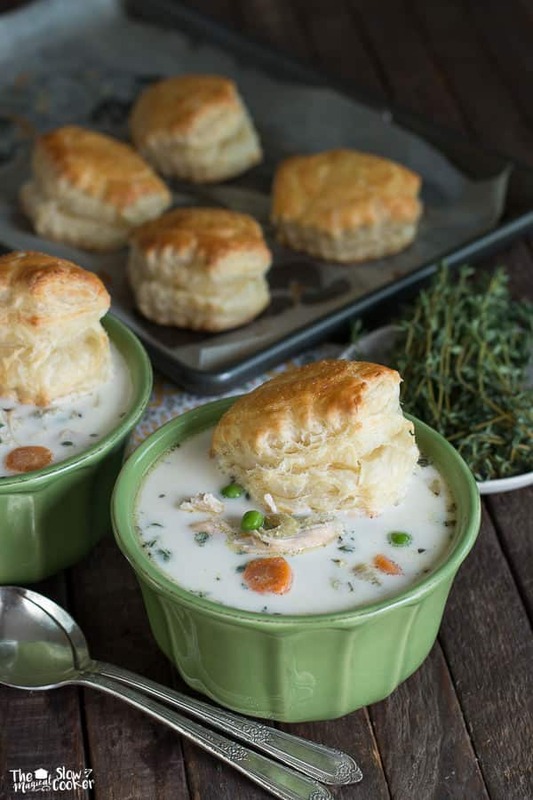 I love pizza so I am sure I will love this soup!